Our latest collective ride was not an easy one. Only 10km longer than our #BlueEggAudax, it included an extra 1,000m of elevation that included the somewhat fabled Ditching Beacon, a 1.5km climb a little over 10km outside of Brighton that averages out at 9% (and kicked tantalising close to our first rest stop of the day). We had quiet lanes, descents through forests and beautiful eclectic array of riders. We had busy roads, wrong-turns, rain and spills. We even had some sun. Once again, the moments that made the journey were captured by the group throughout the day, but special thanks must go to Ele Suggett and Abi Williams for having an SLR slung over each of their shoulders for every single one of the 220kms we covered. Thanks too to Brighton's n+1 cafe for their hospitality. We convene on the south side of London Bridge just before 07.00. As the group for the day makes itself apparent, we make our introductions to new faces and welcome those we recognise. Up ahead in the distance. Our route takes us south, up and over Crystal Palace, offering the chance to see the roads and route that lie ahead. It's green. It's quiet. It's getting closer by the minute. Nothing breaks up a group better than a long ascent. 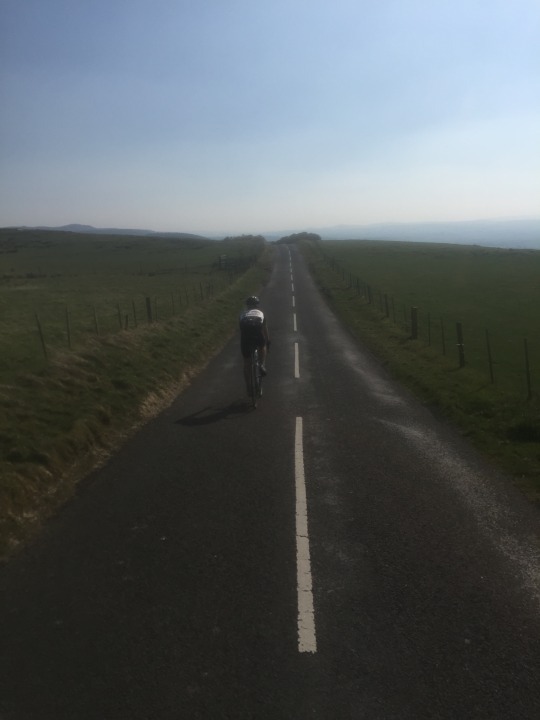 Ditchling Beacon might not be the steepest or the hardest climb out there, but 90km from our starting point and 10km for our first rest stop, it was enough to see conversation quiten and groups become individuals. We reconvened at its crest, congratulating those riders that had summited before us and those that followed behind. We waited for every last collective member to join us. We rolled into Brighton hungry and ready to enjoy some time off the bike. Warmly welcomed by Dan at n+1 cafe, we chowed down on sandwiches, coffees and flapjacks. Some of us repeated that process more than once. Despite having only been on the road together for four hours we were clearly comfortable in one another's company, joshing one another across the table and over our flat whites. We laughed until it hurt. We got back on our bikes. 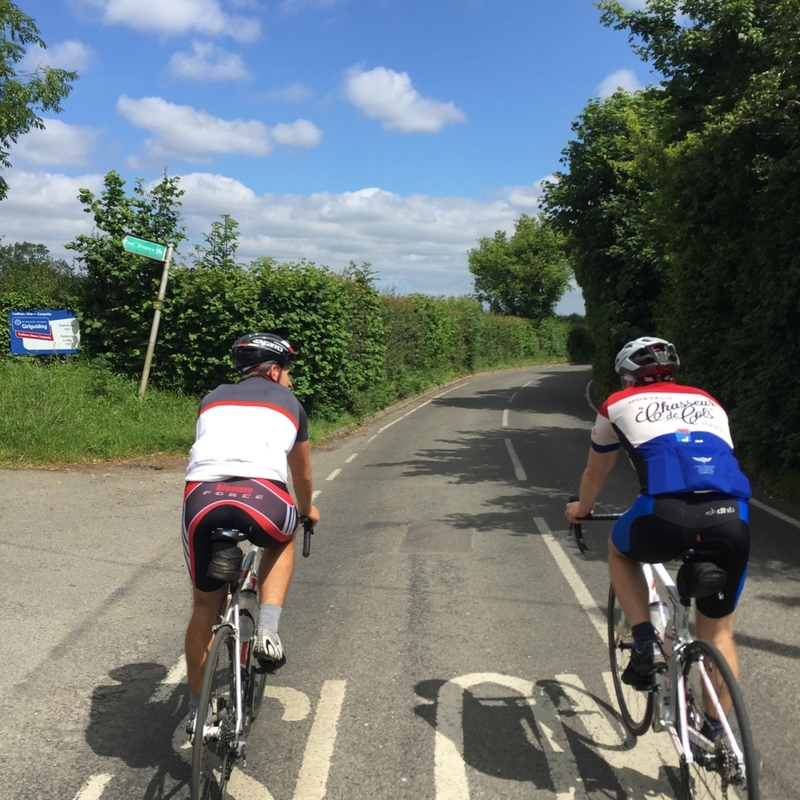 Riding further and further from London, the 10kkm group continued to grow as riders joined us along the way. 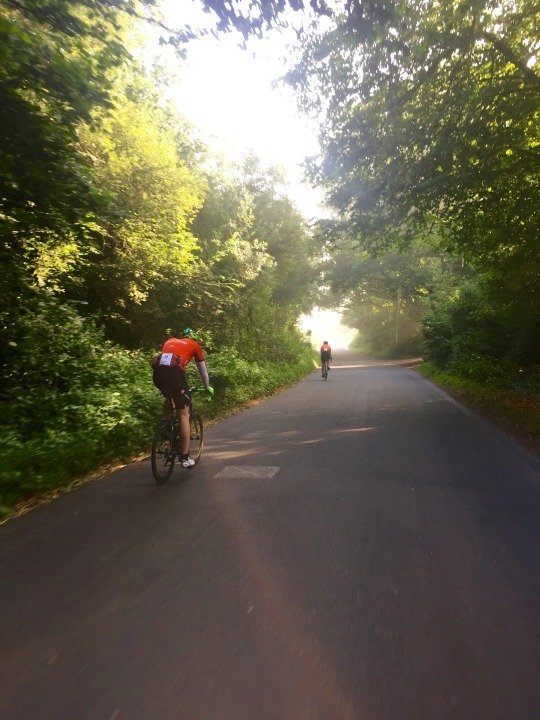 We reached our zenith as we pedalled along Brighton's seafront, with a second team of riders joining us at n+1 for much of our second leg to Royal Tunbridge Wells. Fresh legs, fresh faces and fresh conversation helped distract from one of the busiest parts of the route. Not far outside of Brighton, we found ourselves under a rain cloud. Despite our best efforts, it seemed to be charting the same route as us, mirroring our every turn. As it got progressively harder, we sought respite under the canopy of a group of trees by the roadside. We found shelter, but it was fleeting, abruptly broken by a series of fast-moving cars creating head-height tsunamis of water that left us soaked and forced us to keep moving. As we navigated the increasingly wet roads, the group separated, with one half finding themselves lost. Navigating six lanes of motorway traffic, they rejoined the group as it gathered around a series of punctures. Three riders fell victim to the same 10m stretch of pathway. Advice was dolled out with reckless abandon. Tips were given, pumps offered, foreign and obscure objects pulled from jersey pocket in a bid to make things easier. Many hands didn't necessarily make for light work, but they got the job done. It may have negative connotations, but sometimes you need the encouragement of the wider group to help you to keep going. As we sat around our table at our final stop of the day, The Velo House, the strain of the day had started to set in. Royal Tunbridge Wells station and its direct links back to London lay just metres away. It was a Siren to sore legs, luring us towards it with the sweet song of respite. But as the final cleat of the group clicked into its pedal, we headed for London with the same number of riders that had stopped in RTW. Something happens when you've been riding for a number of hours. Boundaries and barriers fall away and conversation becomes more fluid and open. Subjects quickly move on from the formal to the incredibly informal as the discussions move as quickly as the pedals beneath your feet. But there comes a point -- normally in the final 20% of a ride -- where a cocktail of giddy excitement, exhaustion and elation combine to create a wild, frenzied and altogether incoherent series of events. None of us will likely remember what we spoke about, but we won't forget the way those final 60km felt. Despite our best efforts too cover something more savoury, there was only one topic of conversation taking place over our eggs at the breakfast table: the degree of discomfort we were likely to experience during the initial moments of our chamois (and their contents) making contact with our saddles. The general consensus was that it would be high on the pre-existing scale. However, due in no small part to pain giving way to an incurable numbness at around the 200km mark the previous day, the anticipation was exceedingly greater than the reality, as is so often the case. On the subject of backsides, if I’d needed any further confirmation that I am in no way a breakaway rider or chain leader, today provided it in spades. Fulfilling my position as ‘man at the back of the pack’ in earnest, I added to my extensive and ever-growing collection of #ForeverButtPhotos — an expansive catalogue of my time spent trying to keep pace with a well-oiled, long-distance machine and an iron-willed, resolute (read: stubborn) accomplice. I, on the other hand, am a plodder. I’ve made peace with the fact that I won’t win the race — I won’t even come near the podium — but I will finish it. And I’ll most likely capture some photos of it along the way. Success and achievement operates on a relative scale, it would seem, adhering to the law of diminishing returns. Whilst doing something once is an accomplishment, the second time its repetition. By the third, fourth or fifth time round, it’s almost become habit and that’s just another word for routine. 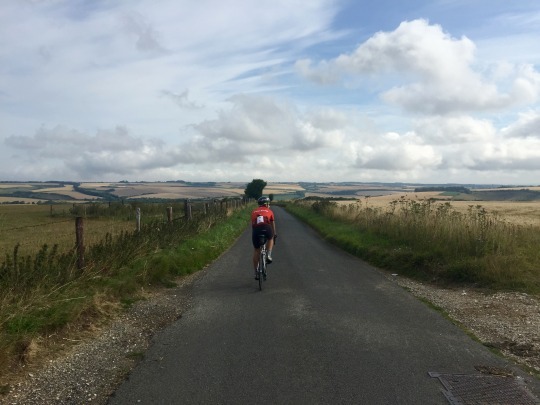 Case in point: somewhere between deciding to cycle 10,000km in less than a year and signing-up to a one-day 350km sportive, my perception of distance has become somewhat warped. It wasn’t long ago that a three-figure ride was a solid effort, whilst hitting anywhere between 130-150km wasn’t just cause for celebration, but an excuse to buy a commemorative jersey. Today, we were discussing the 175km ride as a ‘shorter one’ and planning our first rest stop beyond 70km, depending on what we happened upon along the way. But that’s the wonderful thing about cycling. The ability to go further allows you to cover new, undiscovered routes again and again, helping the old and well-troden feel entirely new. Speaking from ongoing experience, it sure beats doing laps of the same park week in and week out. Continuing to be diligent in our calls, few potholes, bumps, shards of glass or collections of gravel were left unidentified. Whilst Gorrod and I were traditional in our identification, choosing the traditional and authoritative point in the direction of the offending object. I noticed that Hendo, on the other hand, had far more of a flourish in his gesticulation, his point being more akin to Sacha Baran Cohen’s Bruno and his nish-nish finger. This is the kind of thing I’m talking about. Straight ahead of us was what looked to be a never-ending descent that led into a gradual right-hand bend. We could see exactly where the road led for the next two to three kilometres and the direction was definitely downwards. The decline was long and straight, veering slightly upwards and around to the left before a follow-up descent. The road was smooth, wide and completely clear. Straight back out of our saddles, we were hammering into our big rings to build-up speed and momentum, aiming to capitalise on this glorious stretch. In hindsight, I wish I’d stopped for ten seconds to take a few photographs not only to publish here, but to look back on. Alas, I was greedy. I wanted to take it on there and then and the excitement got the better of me. I’ve since learnt the name of the hill: Chain Hill Road. I may be being slightly hyperbolic - and it may just be because it’s still so fresh in my mind — but I’m intent on finding my way back to that little stretch to take it on again. It’s well worth going out of your way for and was the best five to seven minutes of the weekend. It’s also a great spot to push the boundaries on your top speed. I was knocking on the door of 80kph, but didn’t quite get there. 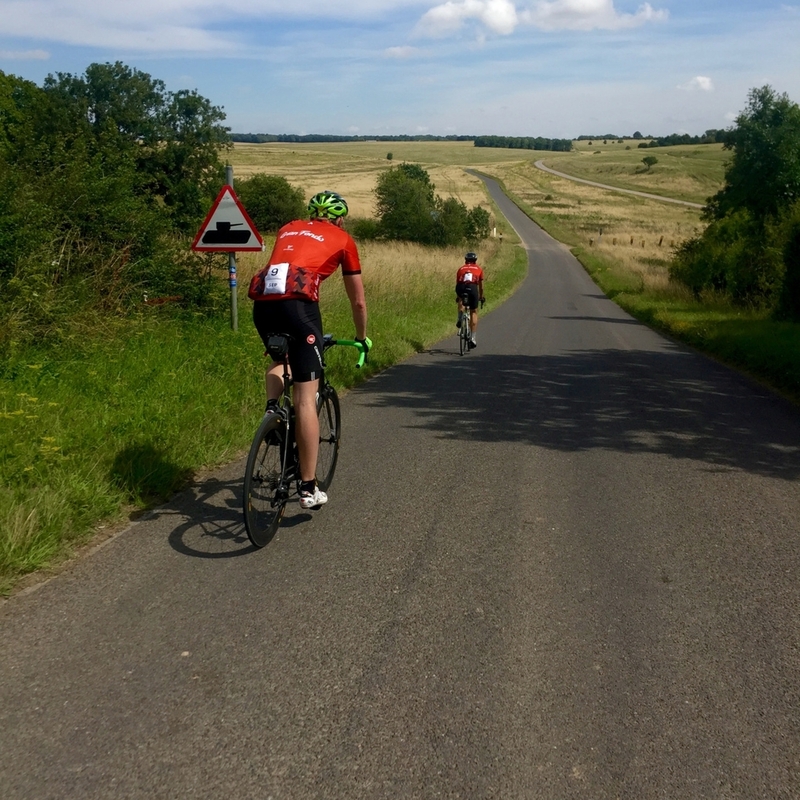 Buoyed considerably by the descent and the growing number of signs for Oxford, we fell in-line and settled in for a prolonged period of chain-gang riding. Hendo took the front, whilst Gorrod settled in behind him. I took my usual spot on the wheel of the last man. After 15 minutes, and with the wind behind us, we took a left at the junction and Gorrod let us know we’d managed to maintain a tour pace for the last segment, averaging 44kph for quarter of an hour. It’s amazing what you can do with a tailwind. The final few kilometres into Oxford-proper kept us on quiet country lanes. Holding more fields and cars, the sight and sound of three police cars speeding up and past us, with their sirens wailing and their engines revving, was a surprise. Living in central London, and cycling twice a day on Old Kent Road, I’ve not only become used, but numb to the the panic-inducing feeling that a siren can inspire. 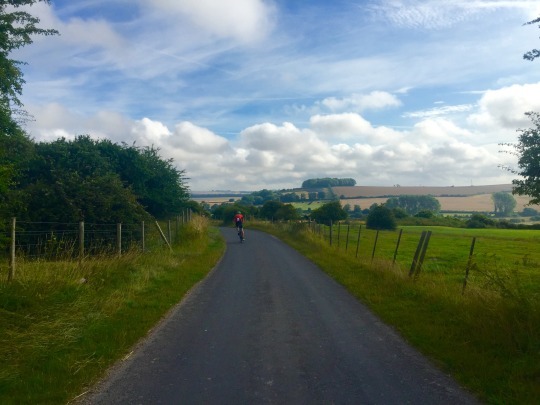 However, riding through the sunny, idyllic and expansive countryside of Oxfordshire provides a very different setting and, seeing them in that context, is incredibly unsettling. After a very brief stop at Zappi’s Bike Cafe — our final destination — we boarded the train back to Paddington. Unknowingly choosing the silent carriage, we rustled through our post-ride snacks, complained far too loudly about our Garmins not synching with our phones and drowsily snapped at one another for now other reason than we were tired. 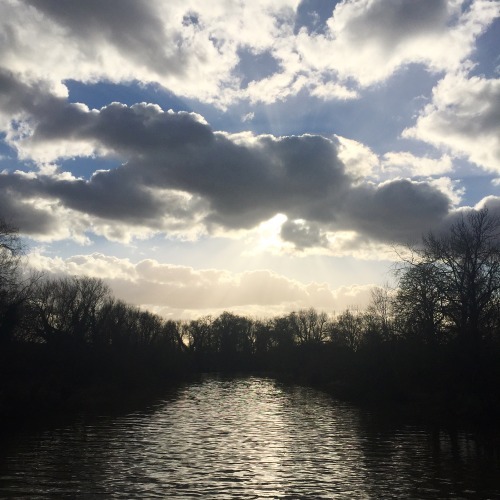 Meanwhile, I silently subdued the creeping forbidding feeling that ebbed and flowed through the front of my mind: the knowledge that I still had to make the 15km ride back home through the late-afternoon London traffic. It turns out I wasn’t the last in the group to be introduced to Knatts Valley. Both Saul and Gorrod had yet to venture in to its hedgerows and so, now fully inducted, I took it upon myself to be their guide. 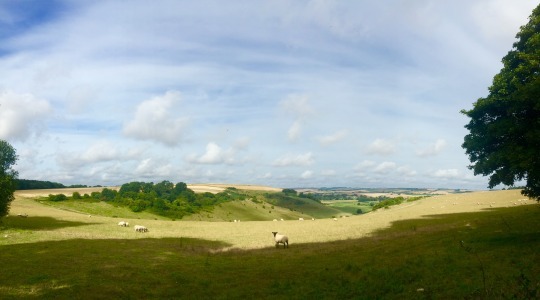 In an effort to mix things up, I decided to take us through the valley in reverse, approaching from Eynsford. Whilst I’m not exactly sure why, my preference is definitely for the run in from Shoreham – I think that’s down to the difference of the descent in, with the former feeling that little bit longer and slightly faster. It was only a few months ago that Hendo and I were in Richmond Park with Saul, dropping him on the hills and helping him out of a ditch on one of his first proper rides out of London. Without wishing to sound condescending, and whilst a small part of me was left pining for these headier days as I sat on the back of the group, the speed at which he’d progressed was unbelievable. He was like a whippet up every hill the route placed in front of him. Grossly under-estimating the length of time it would take us to get from the M25 crossing to Clapham Common left us pacing back through central London fairly aggressively. 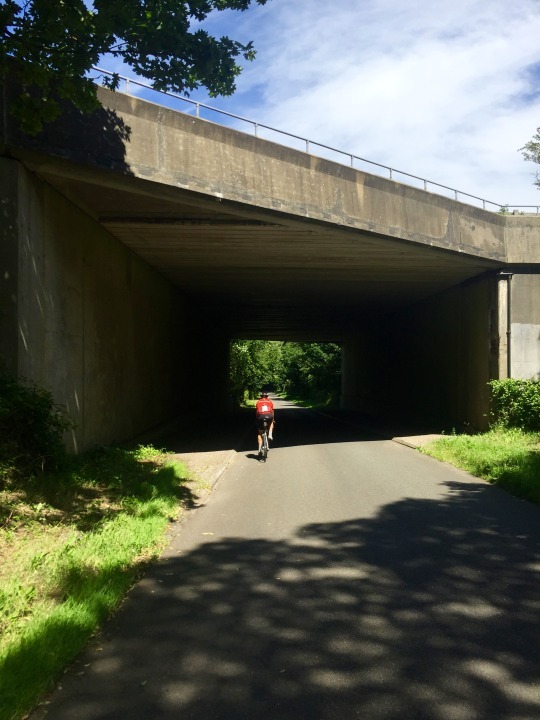 The result was the gradual flagging of each of us as we got inside the 10km mark – the conversation died down, the heavy sighs got louder and the questions of “is the this cafe much further away?” became more frequent. Thankfully, the answer was “no” and, even better, that cafe was the always delectable FIELDS. As I neared my front door, it became clear that I was painfully close – but not close enough – to breaking the 100km mark. I diligently peddled past to complete my victory lap and bring me safely over the threshold. The Stag | Day 1. There are occasions when, setting out for a ride, you tightly cross your fingers and pray to whichever god might care to listen that the run-up to it is not indicative of the excursion itself. With an hour of the morning spent trying (and failing) to load two routes onto Gorrods Garmin, this was one of those sort of run-ups. With 30 minutes left before our train was due to pull out of Kings Cross Station, we eventually decided we were flogging a dead horse. On this occasion, the Garmin would not be our guide. With neither of us knowing where we were going beyond the station we’d be arriving into, we quickly hatched a plan. On the ride to the station, Gorrod would veer off to locate an iPhone mount for his phone whist I powered on to the station to print out our tickets. We set out together, darting through the rush hour traffic and snaking between the masses of cars, buses and motorbikes in a manner more reckless than I’d care to admit. Tickets in-hand, I ran through Kings Cross. Anyone who has tried walking on a tiled floor in cleats knows this is no mean feat, but I was determined to pick-up some remnant of the Stag breakfast I had intended. With two bikes, two flat whites and a paper bag full of impulse purchases, we ran for our platform to load our bikes into the front carriage. We had 3 minutes to spare. After months of careful planning, this is not how I had anticipated us beginning the two-day ride that would kick-off Gorrods Stag Weekend. As Best Man, I did not feel like the best man. Seats located and cycling accessories safely stowed away, we took approximately 10 seconds to breathe, basking in the fact we’d managed to stick to time, before greedily going at our almond croissants and cinnamon doughnuts. This was chased down by a past-its-optimum-drinking-temperature coffee. 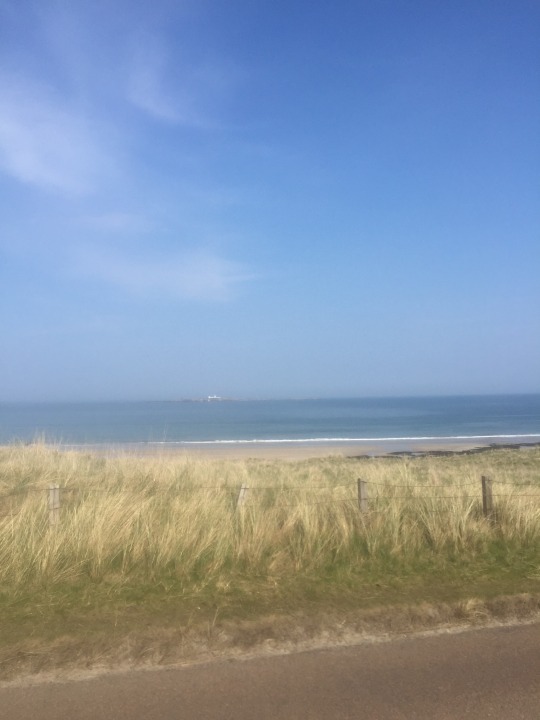 We were heading for Alnmouth, Northumberland and would be crossing the Endland-Scotland border later that afternoon. 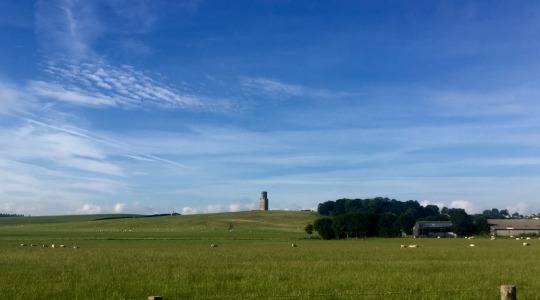 However, with a 4-hour train journey ahead of us, there was little to do in the meantime except kick-back, watch the south of England transform into the north, consume a questionable array of pre-ride fuel and relax. Awkwardly, I took my level of relaxation a little too far, nonchalantly knocking over my just-opened can of beer and watching its contents drift slowly and precariously closer to the MacBook of my neighbour. Whilst I felt bad for disrupting his in-train entertainment (at points I became as enthralled by the silent rendition of Rambo I’d been watching over his shoulder as he was by his full sensory experience), I have little doubt that watching a Lycra-clad idiot jog down a moving train carriage in cleats in search of loo roll had its own merits. Accompanied by the vague stench of beer and sausage rolls, the cycling itself began at around 13.30. Normally, our rides end with a train journey rather than beginning with them, so I thought we might be a little more lethargic in our riding style. 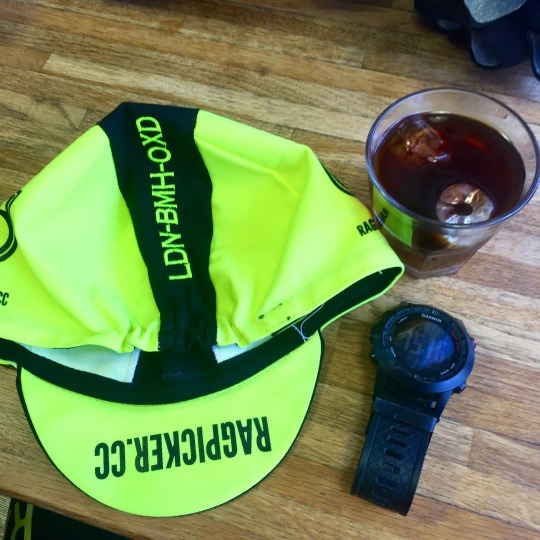 With the sun shining brighter than it had all year, we were expressing levels of excitement over the first bib-shorts-and-jersey-only day of 2015 that, for countless reasons, was unacceptable for two guys in their mid-twenties. 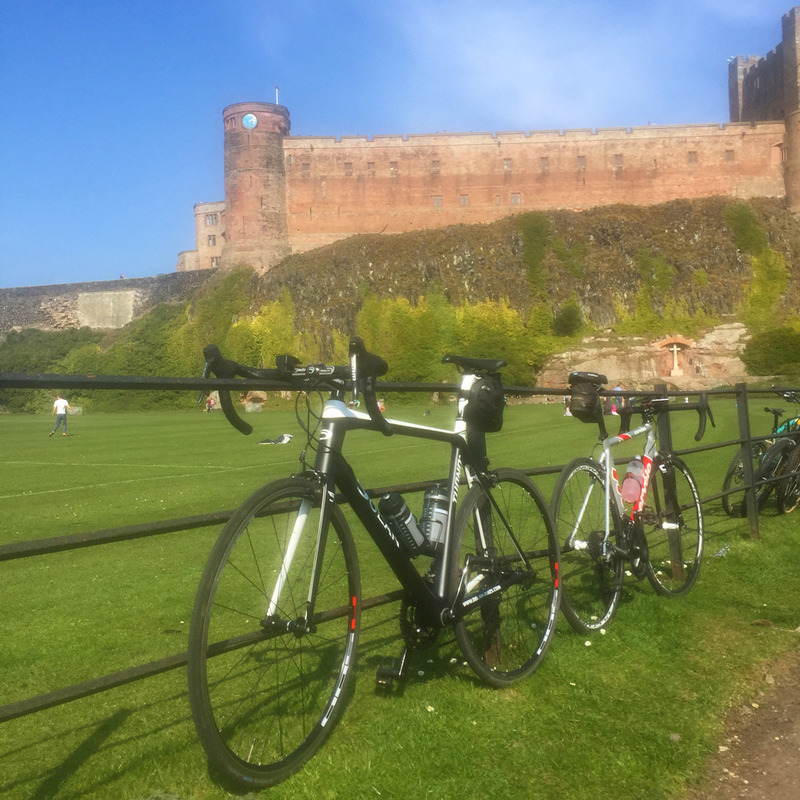 Throw in the fact that the first part of our route was taking us down to Bamburgh and its coast, meaning a fairly constant downward slope, and we’d covered 40km in little over 90 minutes. Stopping only for a photograph of Bamburgh Castle, we were quickly on the move again, back in-landf towards Wooler which, at around 65km seemed like a sensible place to stop. Both of us could probably have pedalled on through to the finish, but it feels wrong to complete a ride of this distance and not have one rest-and-cappucinno stop along the way. Gorrod added a tiramisu to this, which is arguably excessive, but forgivable on account of it being his Stag Do ( I suppose…). With the sun warming us on the terrace of thew inspiring and uniquely name Milan Restaurant (it was indeed an Italian), we were sure we were moving closer to the England-Scotland border. However, the fact that everyone was still speaking with the warm, affectionate lilt of Sarah Millican suggested we weren’t there yet. We did arrive at it soon enough, though, and thankfully it had a level of ceremony to it. This is the first time I’d cycled over a country border in the UK and I had a mild concern that we’d find ourselves missing an understated sign that was characteristic of our nation and not discover we’d made the transition until we reached our destination. 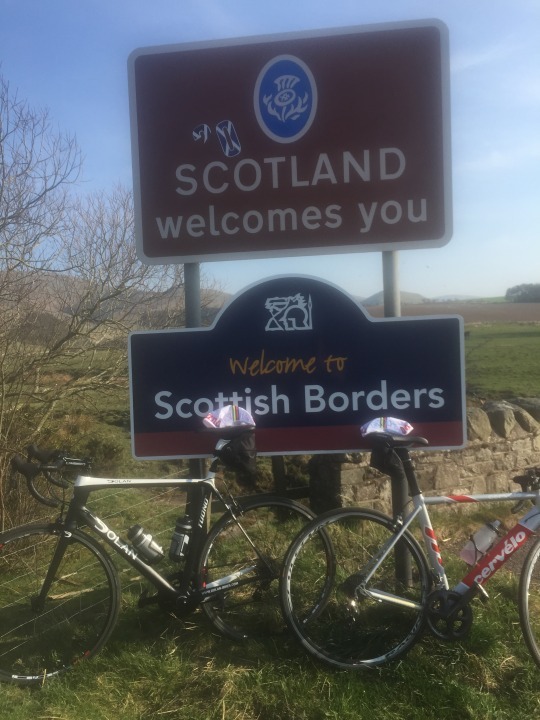 Instead, we pedalled up towards a large sign that simply stated: “Scotland welcomes you”. Behind us, we left an even simpler sign: a plaque screwed to a wall that read “ENGLAND” in block capitals. Make of those what you will. Our stop for the night was only a few kilometres beyond the official border in a small town called Morebattle. Neither one of us for the indulgences of lad culture, the first night of Gorrods Stag could not have been further from the Hollywood-inspired debauchery of Vegas: a quiet cottage on Teapot Street named Kissingate, located by a stream, complete with free-standing bath and gas stove. The owner could be forgiven for thinking us honeymooners rather than Stags. I’m sure our matching embroidered casquettes, Gorrods labelling him ‘Groom’ and mine ‘Best Man’ removed any doubt from the situation. Following a beer on the balcony in the last of the days sun, a bath and a Chinese Takeaway, we prepared for the following day by mulling over our route and drinking whisky from makeshift whisky glasses (refashioned tea light holders). We also located our all-important breakfast stop — approximately 60km away, allowing us a reasonable warm-up. “I wonder what roll our haggis will come on tomorrow”. Eating away at miles and cake. The ride doesn’t always have to be long and it doesn’t always have to be challenging. It just has to be fun. I’ve been meaning to try out a newly opened bakery in nearby East Dulwich, Brickhouse, since it first opened. Mildly hungover and feeling somewhat lethargic, today felt like a good day to meander round with my fiancee, Ashley, and her sister Lauren. The space is well worth a visit in itself – a vast, open space that is filled tastefully and simply with long wooden tables and chairs and well-placed wild flowers. 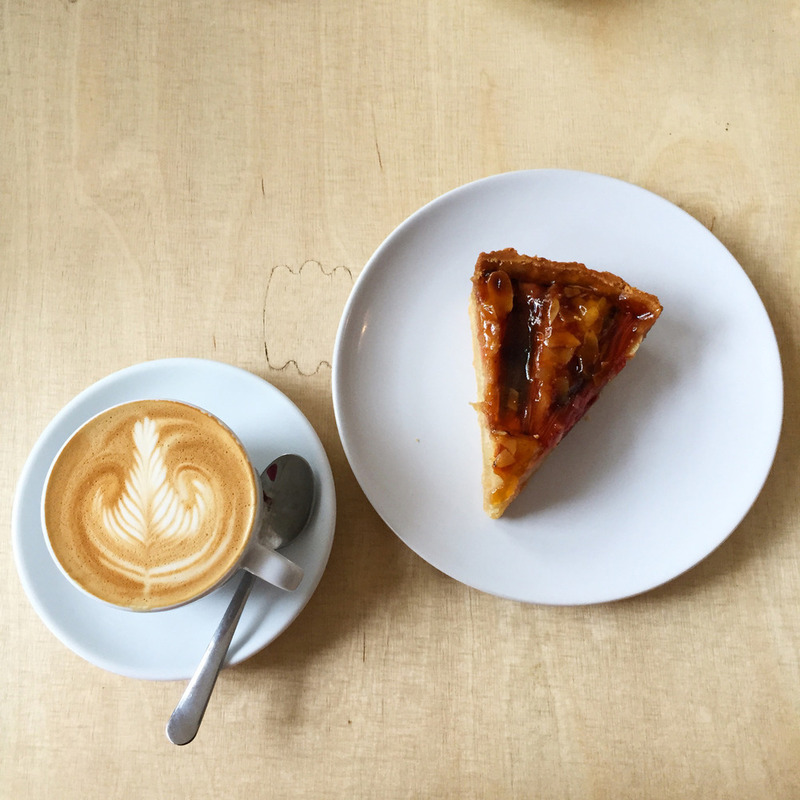 With the cavernous space comes the potential for it to feel cold or sterile, but any such risk is immediately removed by the friendly staff, the constant whirring of the espresso machine and the buzz of the bakery itself. All of their sourdough bread and other cakes and pastries are made in their on-sote bakery and difficult to choose between. I can, however, highly recommend the chocolate sourdough and the rhubarb and almond tart. As I say, it wasn’t far, but it helped to clear away the cobwebs. Tour de March: Day 3. One of us — and I don’t know who — must have pissed off Gorrod the night before, as he seemed hell-bent on giving one or both of us at best a puncture and at worst some form of frame damage. The beginnings of the route for our final day took us down towards a river and onto some questionable terrain. At first it was fun taking on the dips and mounds, with the tarmac becoming compressed dirt. It made for some decent photos, too. 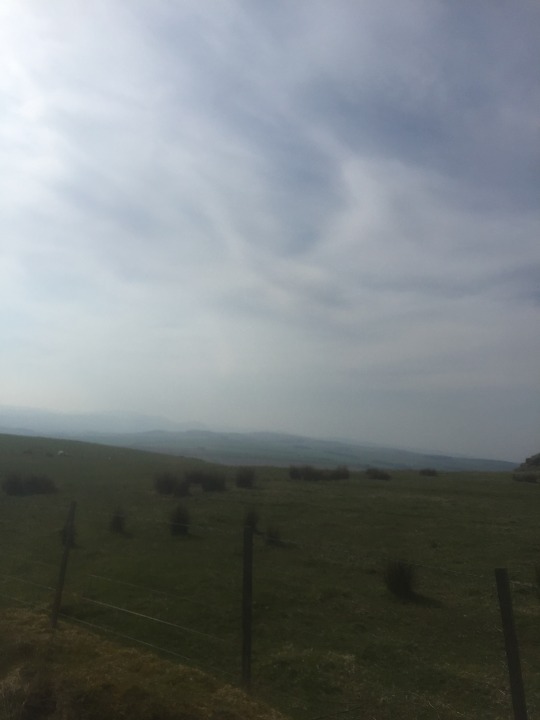 But when the compressed dirt became loose gravel and boggy grassland for circa 5km, my phone was firmly put away and both hands were back on the handlebars to maintain some level of control whilst we all waited for something to go wrong for someone. 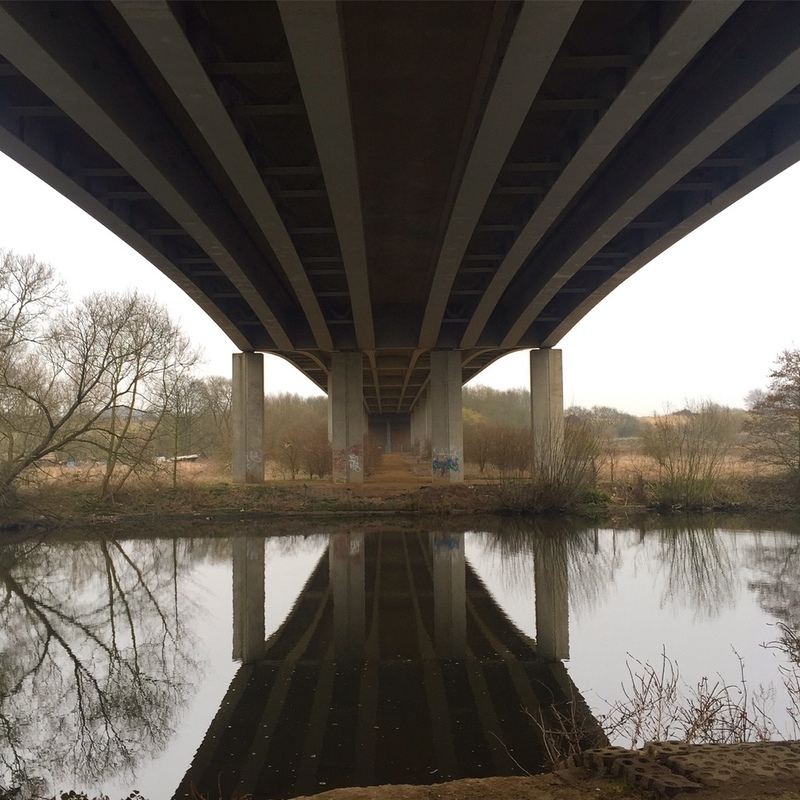 Unbelievably, it didn’t and we managed to make it back onto the streets of Norwich, a little muddier than we’d of liked and having taken in some of the local highlights that included the sewage treatment plant — a treat not only for the eyes, but for the nose as well. Cyclocross excursion aside, we were on for a day of motoring. We had one rest stop planned mid-morning and would be straight back into i, heading for the invisible finish line we’d created for ourselves at Kings Lynn station. Sam had been spending a lof of time down his TT bars for the previous two days and I was impressed to see him back in them today. With no experience riding on them, I can’t imagine it being the most comfortable of riding positions — especially for upward of 400km — but he was making it look like light work. As the day wore on, I actually found myself longing for a set of my own TT bars. My backside had become very familiar with my saddle over the past 3 days and the 2 of them had stopped getting along somewhere on the approach to Norfolk. In a show of solidarity, my back, shoulders and arms had all chosen to do the same to the point where there was no new position for me to move to that wasn’t either as uncomfortable or worse than the previous. Upright on the handlebar straight: done. Down in the drops: over. Hands on the hoods: long gone. 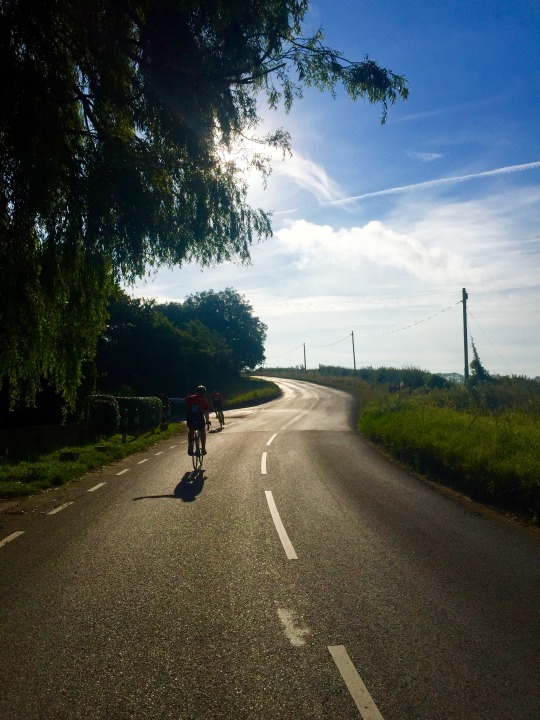 There was a short period where sitting up straight, hands off the handlebars and leaning myself as far back as I possibly could provided a bit of respite, but that too eventually became as good or bad as the rest of them. Gorrod had failed to learn anything from yesterday’s snot rocket incident (or maybe he had and really did have it in for Sam and I today) as he continued to fire them out intermittently as we approached Holt. Thankfully, one of us had, and I chose to ride outside of his direct line. This was made infinitely easier by the fact that we’d finally planted ourselves on the side of the easterly wind as we headed westward. If there was any form of breeze blowing, it certainly wasn’t against us. It was that and the previous nights curry that propelled us into what Sam informed us is known locally as ‘Chelsea on Sea’ and the best cafe stop of the tour: Black Apollo. Having consumed gallons of milk since setting out on Saturday morning, I couldn’t face another cappuccino in a mug the size of a bucket and had the luxury of having a black Costa Rican filter to accompany my muffin. Delightful and precisely what I needed. Only sticking around for a quarter of an hour, we were off again and making a b-line for the finish. Sam was back in his drops as we rounded a bend to be confronted by a very large tractor. He was up and onto his breaks quickly and there was never any real threat, but I’m not sure I’d have had the quick-wittedness this late on in the trip to have avoided a front-on collision with its shiny grill. Major incident avoided, we had our first and only minor incident of the trip. With our focus on the finish (and no doubt compounded by a little fatigue), it’s probably fair to say our camaraderie had slipped slightly. Conversation was certainly less free-flowing than it had been, as we all pedalled away furiously, fading in and out of our own worlds. It therefore wasn’t until a car pulled-up alongside Gorrod and told us our friend was “experiencing a bit of trouble back there” that we noticed we’d dropped Sam. A quick u-turn was made as we hurried back in the direction we’d just come. A few hundred metres away, we found him down on one knee with his bike on its back whilst he removed the back wheel. 40km from a clean sheet and we were witnessing our first puncture. With the speed and precision of a Formula 1 engineer, the wheel was off, the tube was out, replaced and pumped up and we were as good as new (perhaps lacking a few PSI thanks to the inefficiency of a roadside pump). As we traced the perimeter of Samdringham, we were joined by the sun, which didn’t leave us for the rest of the ride. We all craned our necks, expectantly surveyed our surroundings for a slither of sea, but — surprisingly — didn’t end up with so much as a glimpse. That was more than made up for by reaching Kings Lynn station and discovering it had Morrisons alongside it. The fact we found majesty in a purpose-built, industrial-sized supermarket, viewing it as an oasis in a tarmacced desert full of parked cars, probably says more than enough about where we were at both mentally and physically. However, watching Gorrod pull his post-ride meal from its carrier bag as the train departed for London, I became convinced that some of us were a little more out of sorts than others. I feel I’d chosen well: a sandwich, an apple, a bag of cookies, a flapjack. All easy, unfussy and, at the time, unbelievably delicious. Meanwhile, in lieu of a knife, Gorrod tore apart a role with his hands, before using the same ‘utensil’ to remove the meat from a still-warm rotisserie chicken leg. This was piled into said roll and topped with the best part of an entire bag of reduced-price rocket. Who buys a deconstructed sandwich? Some how, I feel as though that sandwich somehow epitomises the Tour de March. Haphazard, completely off kilter, not entirely thought through, somewhat disturbing to watch, but ultimately very, very enjoyable. As the end of my working year comes to an end, I’ve found myself with a few holidays left and little to do with them. Ashley, my fiancée, has long-used all of hers and my friends aren’t far from doing the same. Any form of long-distance travel was therefore off the cards unless I wanted to take it on solo (and I didn’t). There was another option, though. Ashley often finds herself working a little outside of London for weeks at a time and we’ve long talked about the possibility of me heading out mid-week to visit. Unfortunately, dates and times have never quite aligned — until now. With her based in Wentworth for a fortnight, I got to planning a 2-day route that would take me out of London and back and allow me to spend a bit more time with her. A quick aside on route planning. Whereas once it was an involved and time-consuming process involving physical maps, pencils and, potentially, some form of measuring device, it’s now a sinch. A few minutes with Google Maps, some choice destinations and a quick reccy via street view and all that’s left to do is attach my iPhone to my handlebars and I’m set. In the past, defaulting to laps of Richmond or Regents Park took any major thought or and this kind of involved, time-consuming planning out of a ride – better the devil you know than the devil that leaves you stranded at the side of the road with a puncture with the day closing in and struggling with a hard-copy map in a headwind. Now, it’s easier than ever to just head out and see new places and explore new routes, safe in the knowledge you’ll make it where you’re going or back to where you started. Setting out mid-morning on day one, my first rest stop was Reigate via the iconic Box Hill. Despite its legendary status amongst cyclists, I’ve only ever had two experiences with the eponymous climb. 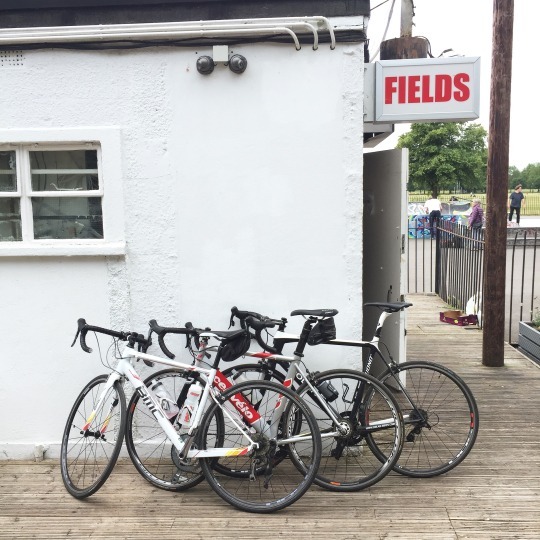 The first was part of a 110-mile sportive that 2 friends and I naively signed-up to 2 and a half years ago. Over-excited amateurs that we were, we opted for the epic route. What we failed to do was prepare in any way. Turning up on the day, one of us was on a hybrid commuter bike that was some good 4 inches too small for him and none of us had an inner tube or bike tool between us. Unsurprisingly, only one of us (yours truly) managed to make it through to the end — whether that’s incredibly lucky or woefully unfortunate depends on how well you’re able to drag yourself up a lot of testing hills solo. I thought it woefully unfortunate and that was without completing the full course. Box Hill eventually alluded me (or I it) as daylight disappeared and, from the train journey back to London onwards, I subsequently began thinking of it as an Everest-like summit that would likely destroy me were I ever likely to encounter it. And for the record, we’re still over-excited amateurs, but these days we’re ones that turn up somewhat prepared. My second visit involved descending it on the way to Eastleigh — definitely the easier direction to take on Box Hill if you’re planning a visit. On this basis, the climb was either going to be a one of gargantuan proportions or it was going to be a walk in the park. The reality turned out to be somewhere in between. Box Hill does not demand that you bring yourself immediately out of the saddle and, red-faced and breathing out of your arse, hunch yourself over your handlebars. Instead, its the kind of climb that allows you to plant yourself firmly into your saddle, hands on the straight of your handlebars and methodically inch your way up each segment. It may have been the effects of the one of the warmest days of the year so far, but it it was actually incredibly enjoyable. The smooth roads give way to depths of trees. Hairpin bends break the climb into chunks that make you feel you’re completing a level at each turn. The words of encouragement sprayed onto the tarmac — “Go Froome Go!”, “Allez!” and, my favourite,“Where’s Cav?” — make you feel like a little bit like a pro. That is until you remind yourself you’re in your lowest possible gear. The views from the top aren’t half bad, either. Down into Reigate, my first stop was at 1 of 2 well-known cycling cafes I’d decided to design my route around: Maison du Velo. As much as I hate to admit it, my reliance on my iPhone to get me to my final destination of the day meant I had become that person. Whilst I placed my order, I fumbled around in my jersey pocket for my iPhone charger and, before I’d even handed over my credit card to pay, was asking to be pointed towards the nearest power outlet. Yup — that guy. No one likes that guy. Hopefully the copious amounts of coffee, eggs and cake I consumed went some way to forming an implicit apology. My device and I adequately recharged, it was back the way I’d come until veering off at Leatherhead and into an area I found myself to recognise: Esher. 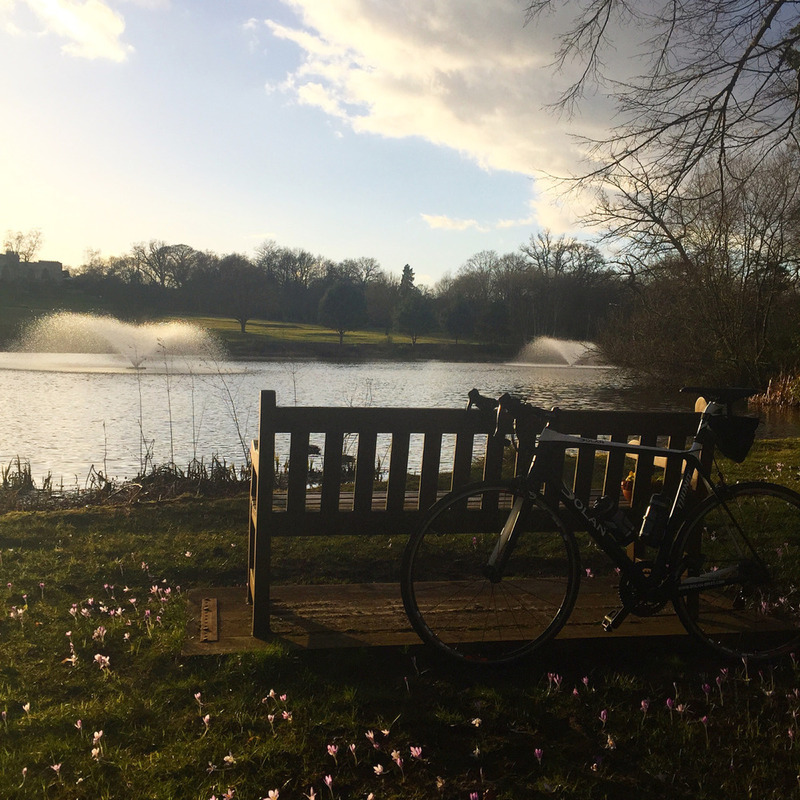 It was only a few months back I’d ridden out to Esher and back as part of a Strava challenge that involved a free mug (it doesn’t take much). 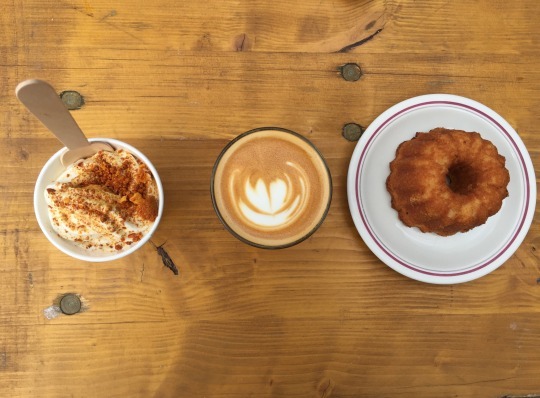 A 60-70km round-trip from central London is G!RO Cafe, which makes for a well-located halfway point and serves what must be the best cup of coffee for a fair few miles around. I’d not planned to visit again, and it had only been about 30km since my last stop, but it would’ve been rude not to stop in briefly and enjoy their wares. The weather having been so good, the sun was setting fairly spectacularly as I passed through Hersham and Chertsey and weaved my through the lanes and roads of Wentworth Club. I’d envisaged a grand entrance and perhaps a long, manor-style drive, but did not think I would be navigating an entire estate of mansions and well-kept gardens. It was only now that I understood why Ashley had insisted she pack a shirt and jacket for me to wear to dinner — this place was unlikely to be lycra friendly. I soon found the right road and the hotel itself, where I knew a comfortable bed, a warm shower, a 3-course meal and Ashley were waiting for me — along with a glass of delicious dessert wine.